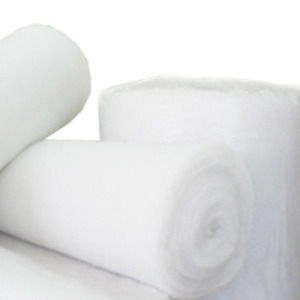 Non-woven, heat-strengthened puffy material, synthepone. Synthepone can be from 60 to 350 gr/m2. It is widely used in the manufacture of upholstered furniture for armrests, backs, etc. Sold in rolls. The roll width is 1600 mm, other widths are possible on reservation.